The quintessence of automation testing is to holistically improve the quality and speed of a process. Some of the best software testing companies understand the importance of making qualitative strides that are not only noticeable but also measurable. Improvements do not necessarily need to be measure by magnitude but rather by the impact of even the minutest positive changes. The fact is that your core business would not necessarily mean that you need a full time person to administer and manage test automation activities, and therefore it makes sense to outsource this critical function to the experts. 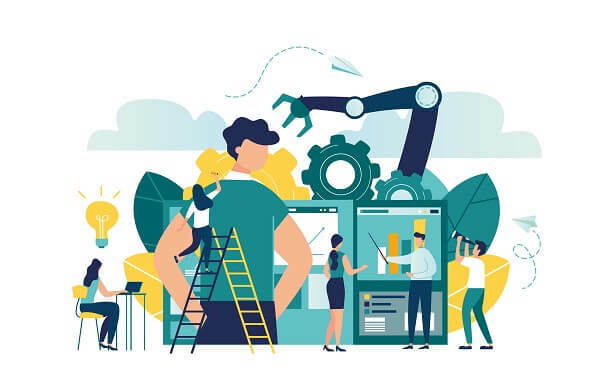 The experts will advise and provide automation where needed, help your workforce use the right tools to enhance productivity, and be available around the clock for any assistance – leaving you time to focus on accelerating and elevating your core business. If your core business is not software testing, you could be flummoxed with the challenges that automation (as any process) could bring. Leave it to the experts in an automation testing company to overcome these ‘tests’. 2. Many fear that automation will result in people becoming redundant – this is true only for repetitive jobs that would be easily and more efficiently managed by automation. These workers could then be trained and employed in jobs that directly and positively affect the bottom line. This in turn results in a smarter and more efficient workforce. Manual testing would require human intervention, which naturally means that the process would be more tedious, time consuming, prone to errors, and require huge monetary investment to not just employ the human resources but to also correct the errors. Manual testing limits the number of times every feature can be thoroughly checked, leaving the website, software, and their applications vulnerable to bugs and serious defects. Trust only a leading test automation company, with the required expertise to create tests that will check every aspect of the applications and run tests each time changes to the software are applied. 6. Improve test coverage, even for test cases with several hundred of coding lines, thereby improving results and requiring minimal manual intervention. Testing flexibility, accuracy and efficiency too is enhanced manifold. Keeping the benefits of automated testing in mind would make business sense for the long term. We believe that availability, performance, reliability, productivity, reduction of cost, and a more efficient workforce are robust reasons to adopt automation testing services, from a leading and renowned software testing company. Connect with our experts now to overcome challenges and gain sustainable benefits of automation, to become a force to reckon with amongst your competitors.